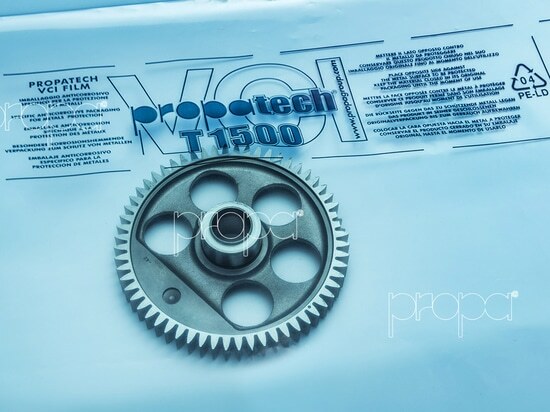 Propatech VCI anticorrosive films T1500 and T3000 - Via Genova, 5/B, 10098 Rivoli TO, Italy - Propagroup S.p.A. 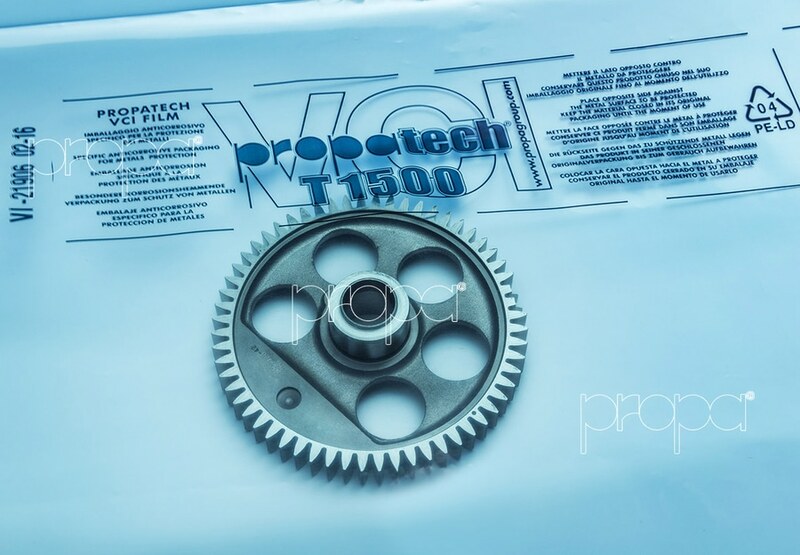 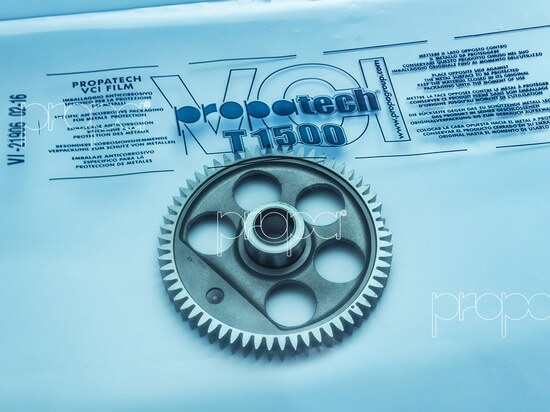 The new and technological Propatech VCI films T1500 and T3000, born in Propagroup research laboratories, are the best solution to protect metal parts from oxydation and corrosion. 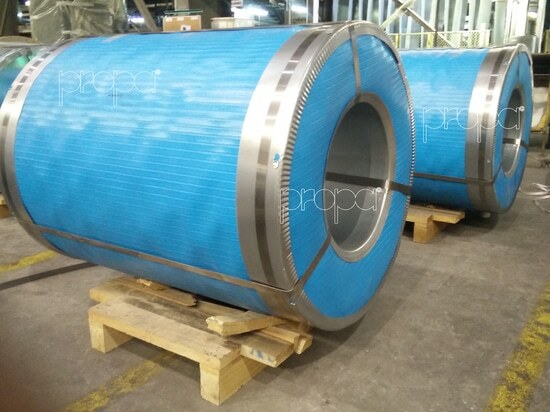 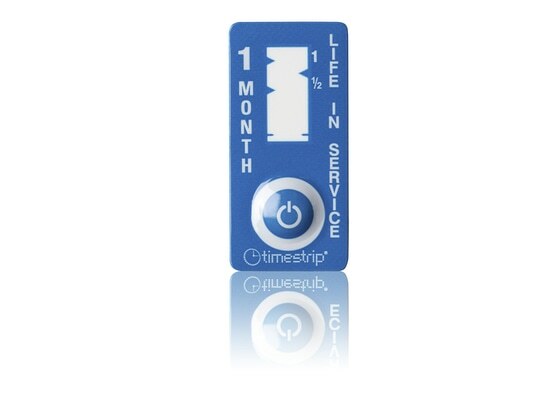 These VCI films are realized with technologic resins and are 3-5 layers co-extruded products. 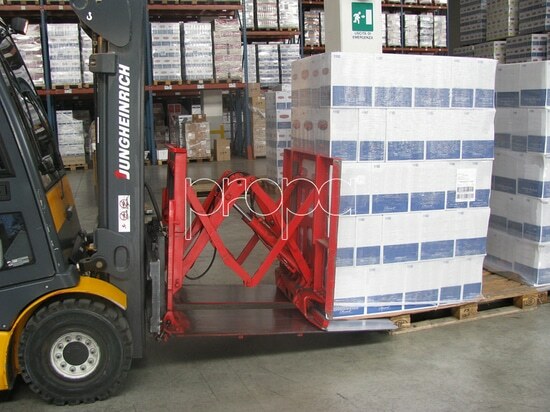 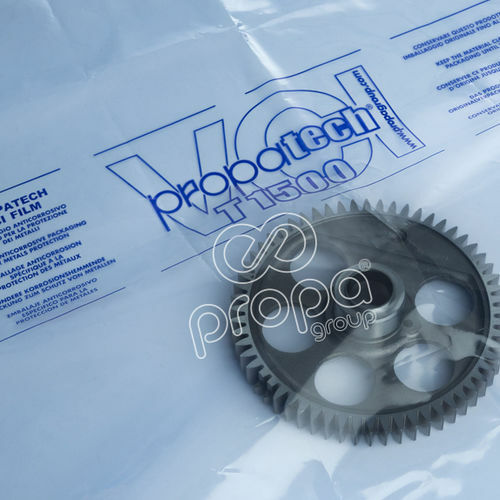 Besides ensuring high resistance and low permeability, the coextrusion technique allows a distinctive unidirectional positioning of the PROPATECH VCI molecules.PROPATECH VCI T1500 and T3000 films are transparent, so easy to position and inspect, also during custom controls of goods.